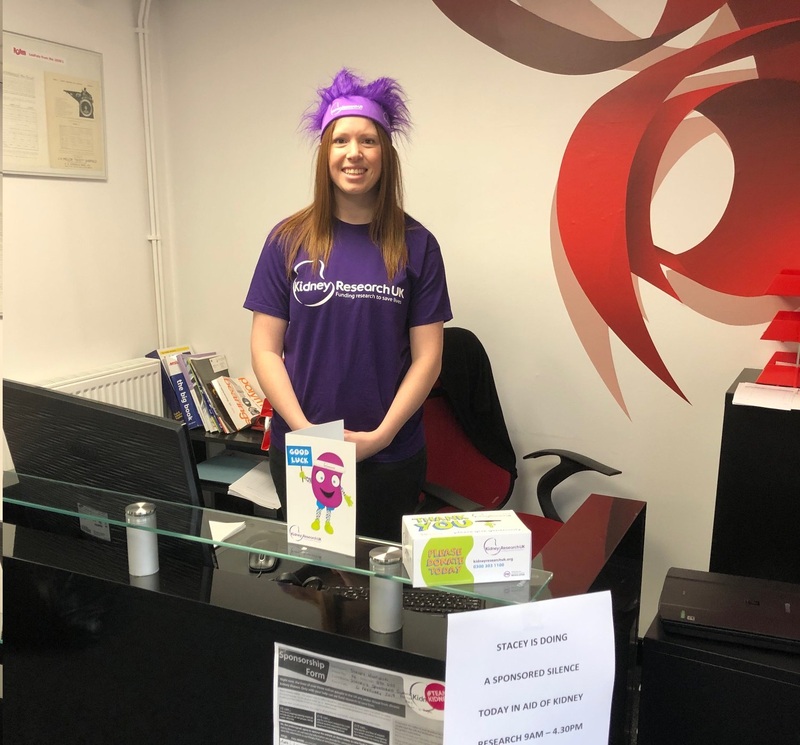 Rollem’s Purchasing Co-ordinator, Stacey Winfield, held a sponsored silence last Wednesday to raise money for Kidney Research UK. As anyone who knows Stacey will realise, this was quite a challenge for her to undertake! She has raised over £400 for Kidney Research. Stacey’s mum, Sue, had a kidney transplant about 8 year ago, and it is looking likely that she will need to go back on dialysis soon. Stacey celebrated her achievement with a couple of drinks after work with her colleagues.